I usually don’t post movie reviews here on Nuclear Bits, but ‘Tumbbad‘ calls for an exception. It is an incredibly crafted genre-defining flick and if you love watching movies, do make sure that you watch it before the theaters end its run. 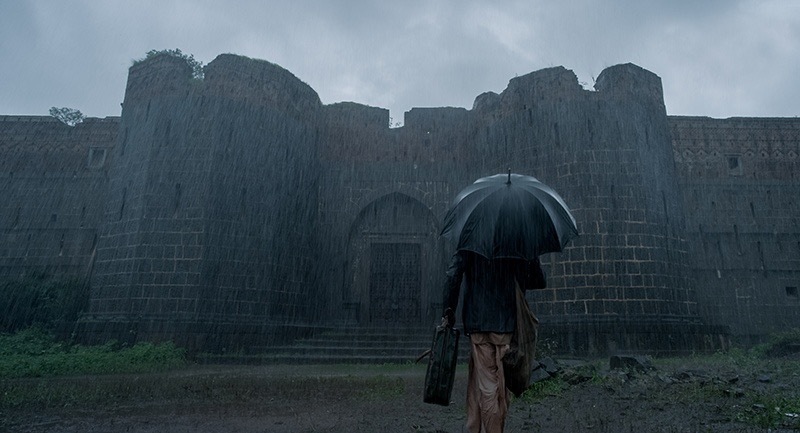 I happened to watch Tumbbad last night and I must say, it is an incredible experience, very unlike anything coming from Bollywood. It’s so refreshing to see a flick that cares about creative vision, intricate set designs, cinematography, and sound design. There’s no big-budget star cast, no larger-than-life glittering sets, and no over the top music and dance sequences. Yet, Tumbbad manages to present a really skillful and perfect artwork on the screen that offers an absolutely fascinating visual and audible experience. It’s a “must-watch in the theaters only” kind of film. I loved the way the cinematographer has crafted most of the frames in the movie. The lighting, the movement of the camera, and the way each shot is precisely made possible, backed by Rahi Anil Barve’s fabulous direction, is nothing short of commendable. I know a lot of people who’re skeptical about it, thinking it’s a horror film. But there’s a stark difference between the typical horror stuff with jump scares that we’re used to seeing, and what Tumbbad delivers. It’s a ‘Fantasy Horror’ film, but one that’s based on a powerful storyline with a primary theme of ‘greed’. It won’t leave you looking over your shoulder once you step out of the theatre and around the corners at home, it just isn’t your exorcism and “bhoot-preyt” kind of horror. What it is, is thrilling, gripping, and surreal. Lastly, one of my favorite parts of the film is its background score by Jesper Kyd. Tumbbad is scored by Jesper Kyd — the same man behind the popular games like the Hitman series, Assassin’s Creed series, Borderlands series, Darksiders II and State of Decay. His music is what brings the film to life in the theater.